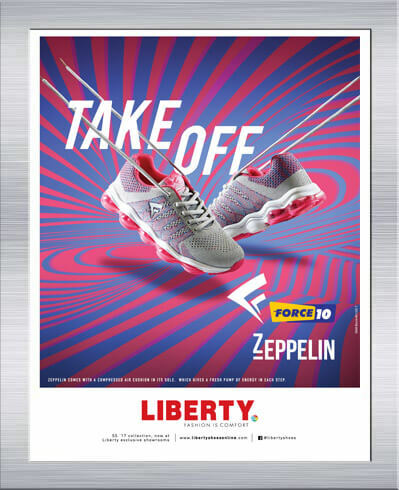 Take off with air cushioned Zeppelin This shoe is an exuberant technological innovation from Liberty promising utmost comfort for the fitness loving people. This shoe is a companion for runners, booster for athletes and motivator for exercise enthusiasts. This shoe is an exuberant technological innovation from Liberty promising utmost comfort for the fitness loving people. This shoe is a companion for runners, booster for athletes and motivator for exercise enthusiasts. 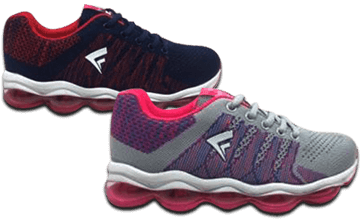 Equipped with a special air cushion in its out sole, the F10 Zeppelin absorbs shocks and propels you with extra force every time you take a step. The shoe is light weight for better comfort, offers superior cushioning due to memory insole which does not lose strong durability, supreme flexibility ease of molding and enhanced performance. As a brand that is about people we are constantly in the news. Sometimes opining on subjects and many a times being opined on.